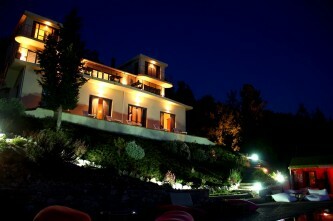 Welcome to the boutique hotel “Serenity” a magical spot on the island of Lefkada in Greece. Built in a forest on a hillside above the picturesque village “Athani”, it overlooks the natural western shores of the island with olive groves and beautiful beaches. This unique hotel was established by Hani Arbel and Toni Sarussi. Their intention was to create a place that will be a source of relaxation, recreation and healing. At “Serenity” you can enjoy a variety of body spa treatments with Dead Sea products, spend your time in the swimming pool which merges with a clear view to the sea, or relax in a hot Jacuzzi in the forest. Wonderful meals can be eaten at the bar and restaurant facing a crimson sunset. Serenity” is close to all tourist sites such as the beaches of “Egremni” and “Porto Katziki“. “Vasiliki” and “Agios Nikitas” are two fishing villages with many cafes and taverns. You are invited to experience the joy of life and freedom.